Today the fog and rain are thick in the Columbia River Gorge, so I thought I would revisit a much loved summer place, only open about 3 months a year. 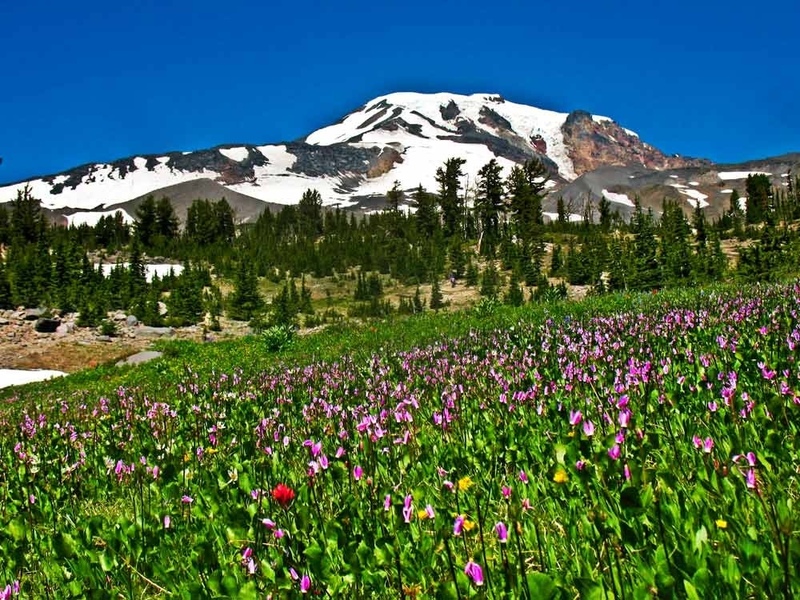 Accessible from Trout Lake, Washington, this portion of the Mount Adams Wilderness was returned to the Yakama Nation in 1972 as part of the Handshake treaty. 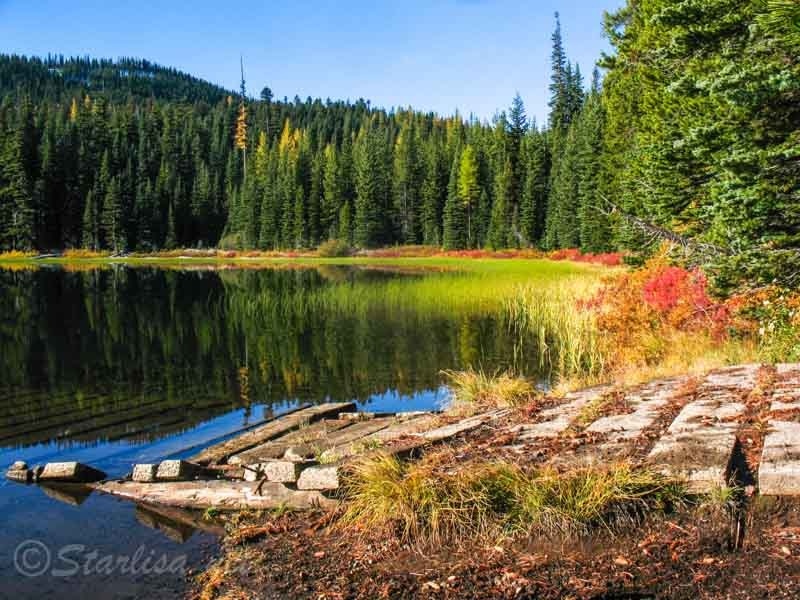 Referred to as Tract D, this portion of the reservation is still open to the public for camping, hiking and fishing. 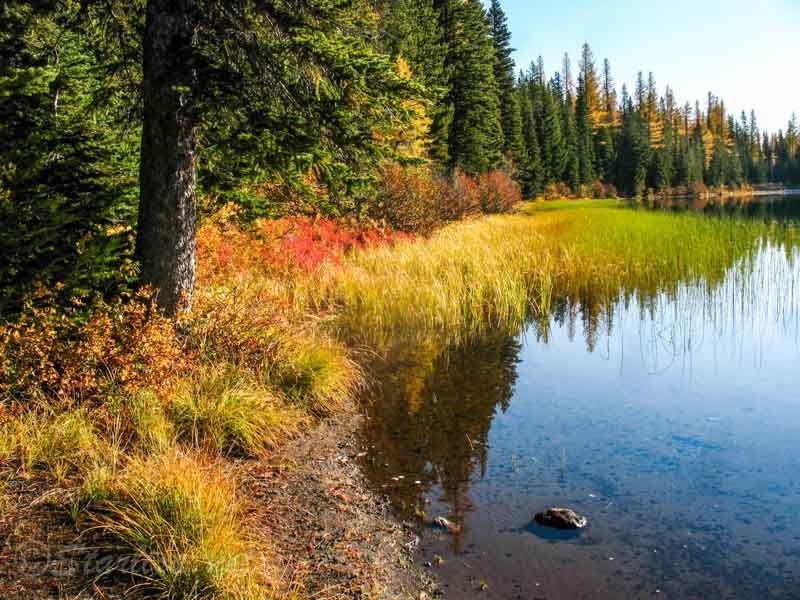 Tract D includes Bird Creek Meadows, Bench Lake, Mirror Lake, Bird Lake. 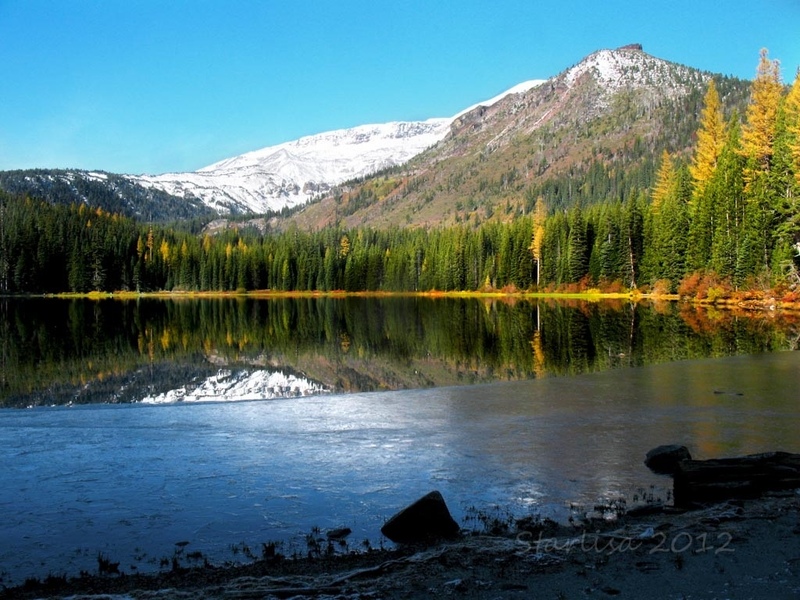 These 3 lakes each have campgroundsalong the shores, and a 4th lake, Bluff Lake, is accessible by trail from Bird Lake. Tribal rangers stay onsite during the short season and often speak to groups of boy scouts or other groups about tribal history and the location. 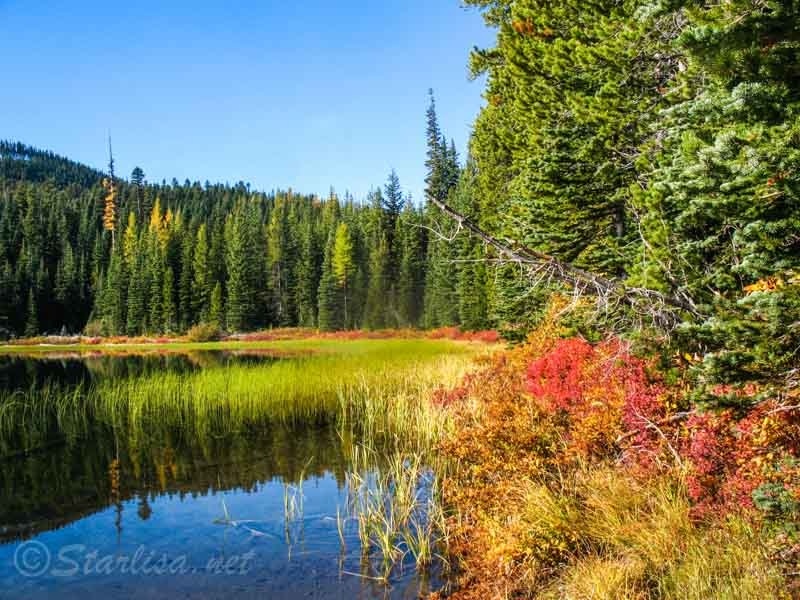 This entry was posted in Bird Creek Meadows, fall colors, Mount Adams, National parks and refuges and tagged bench lake, Bird Creek Meadows, camping, fishing, hiking, Mount Adams, public access, summer, Tract D, treaty lands, Washington, wilderness, Yakama Reservation. Many years ago, a man as a means of repaying me for kindness, took me to Bench for a surreal fly fishing experience. It was so good, my family on later visits renamed it Dusty L. to keep it secret (you no doubt no why dusty given the descent into those lakes). Many great memories there! Adams looming over the top. Thanks for sharing. Wonderful memories! There are some giant trout in there, they stock it every year and some winter over. Yes, Dusty fits it well! I was just writing a page about the Yakama and their beloved Pahto. Searched your site for an appropriate photo. Looks like you have been pondering some of the same thoughts.